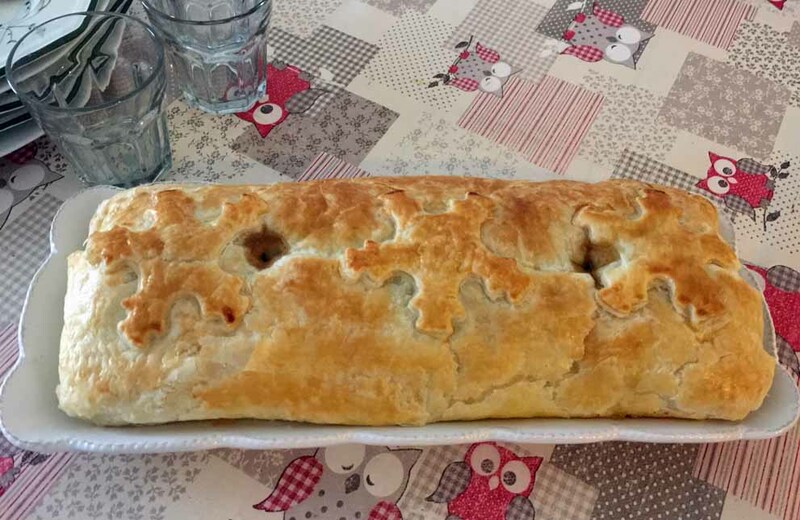 This speciality is made with minced meat and hard-boiled eggs. 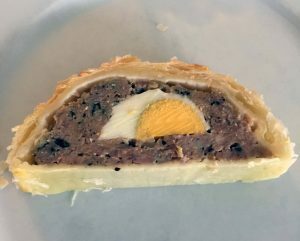 It is known as as a Pâté Berrichon or as a Pâté de Paques (Easter pie) because it is often eaten as Easter. It gets it’s name from the Berry region, which ceased to exist after the French revolution.. Today the departments of L’Indre et le Cher make up most of what was formally the Berry province. It can be eaten hot or cold but it really is delicious served cold with a green salad.